"My iPhone 7 won't boot anymore and when I plug it in my MacBook, it goes to recovery mode (cable logo => iTunes logo). So I tried to restore it using iTunes but I keep getting iTunes error 2001 error. Any idea how to fix iTunes error code 2001?" The iTunes error 2001 is quite usual, especially when an attempt to update or restore the Apple device using iTunes is taken. During a software restore, unknown error 2001 could often turn up for unexpected reasons, which get quite annoying sometimes. In this regard, I hunt for the top 6 efficient solutions to help you fix unknown iTunes error 2001 while updating or restoring an iPhone/iPad/iPod in this tutorial. The older version of iTunes often causes software clash with iOS on iPhone, iPad or iPod Touch and then result in error 2001 to come about. Therefore, upgrading iTunes version is likely to be the first measure. Alternative 1: Open iTunes and click "Help" menu on the top of the interface. Then tap on "Check for Updates" option to update your iTunes version. Alternative 2: Uninstall iTunes from your PC/Mac and then open browser, visit official Apple webpage to download latest iTunes. Do the USB ports work well? The USB ports are highly used on any computer and then ware out after a certain period of time. It is normally owing to the USB connection is interrupted. Thus, you need to try different ports or USB cables and unplug everything else from USB. 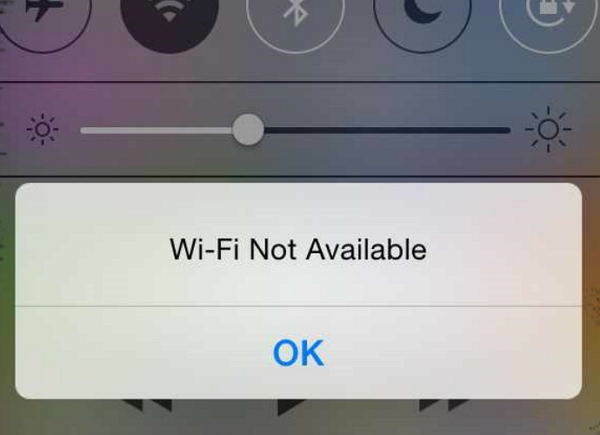 Another option to fix this problem is to force reboot your Apple device (iPhone, iPad or iPod). This is going to make plenty of changes to your device and also make it better. The resetting is not so complicated. For iPhone 7(Plus) users, just hold and press "Power + Volume Down" button both for about 15 seconds. Then the device will be rebooted. For iPhone 6(Plus)/6s(Plus) owners, hold both "Power" button on the right side and "Home" button in the meantime until Apple logo appears on the screen. For iPhone SE/5(s)/5c/4(s)/3GS customers, hold down "Power" button on the top right of the device and hold "Home" button together until it forcibly reboots. As a totally free all-in-one iTunes repair tool to fix all iTunes sync problems and iTunes errors, The free Tenorshare TunesCare software is no doubt to be a professional program. To mention it, you are able to use it to deal with slow performance in iTunes as well. 1. You need to download it from official website or other download center before using this tool. 2. Install and launch Tenorshare TunesCare from your PC. Tap on the dotted box with a blue lamp bulb, written "Fix All iTunes Issues". 3. Since your iTunes is abnormally. Try to fix it immediately by taping "Repair iTunes" button. 4. Then it will download iTunes driver and fix your iTunes error 2001 until it is finished. 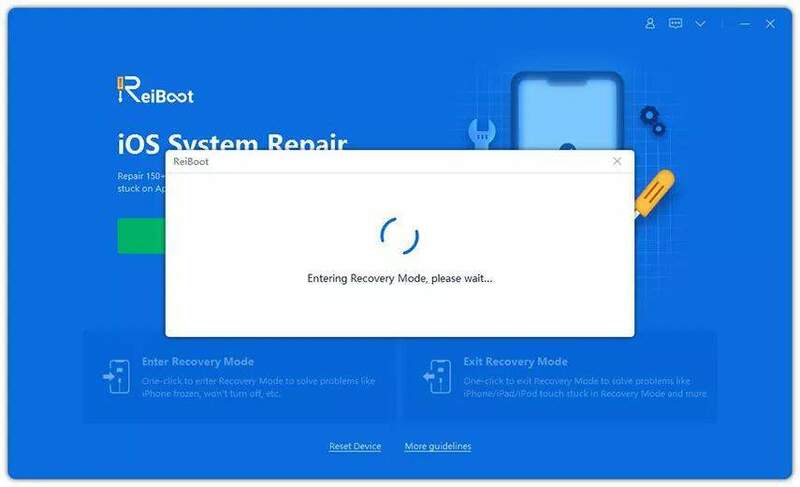 If the issue persists on a known-good computer or Mac after trying above methods and the error issue is caused by your Apple device like system damage, corruption, etc., then you have to repair iOS system in the end. Apple lists restore error 9 as a security software issue while many other sites take it as software related error. 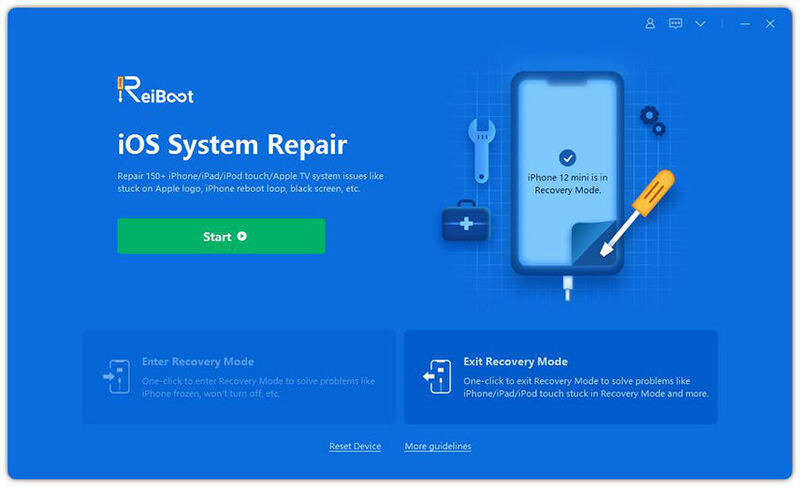 If you've tried all the iPhone error 9 hardware solutions but failed, fix iPhone system with the professional iOS repairing tool Tenorshare ReiBoot. Heat your iPhone or iPad with a hair dryer (don't heat too much in case of causing any damage) and plug the earbuds into the jack. Download Tenorshare ReiBoot on your Mac or PC. Run the program and connect iPhone to computer. Click "Fix All iOS Stuck" and follow the instruction to put iPhone into DFU mode. Once the iPhone entered DFU mode successfully, the software will detect it immediately and list the firmware to download. Click "Download" to proceed. When the downloading process completes, you can simple click "Start Repair" to repair operating system. After system repairing, your iOS device will boot to normal. A bad or disconnected battery seems to be capable of causing unknown error 2001 that others have reported. Even after trying all the above methods if issue still persists, you had better consult to Apple Genius. Most likely, it's a battery problem. So don't anxious and go to Apple Genius store to change battery and ask for help to fix this issue. Wow! So these are the methods to fix iTunes error code 2001 while restoring iPhone, iPad or iPod using iTunes. All of the solutions are recognized to be effective as well as efficient by a multitude of users. Hope you like this post and in case of any enquiry regarding this, feel free to ask via comments. How Can I Quickly Restore iPhone without iTunes?